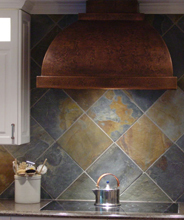 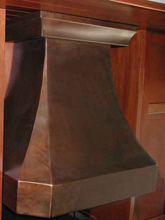 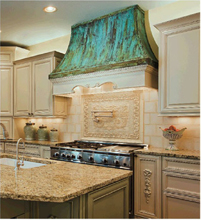 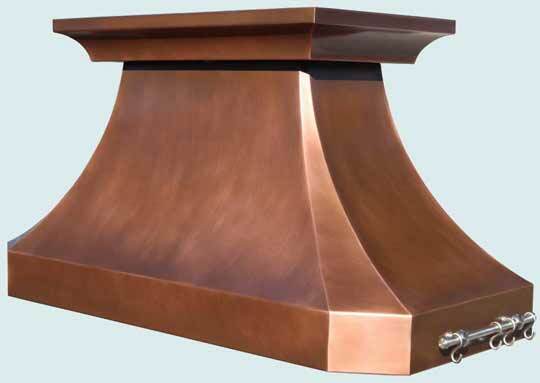 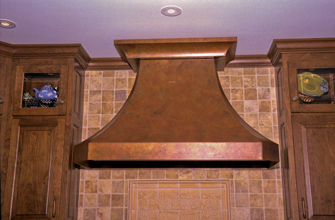 Copper Island Range Hood # 4356 | Handcrafted Metal Inc. 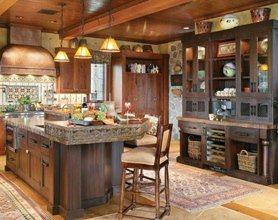 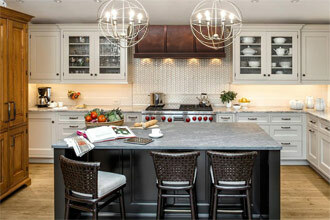 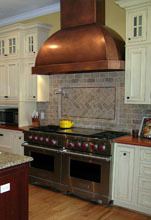 This striking island hood has 2 stainless steel pot rails. 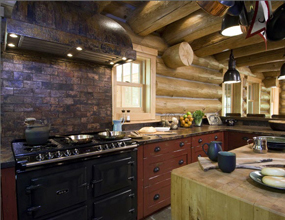 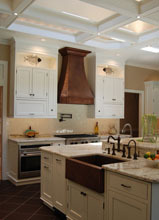 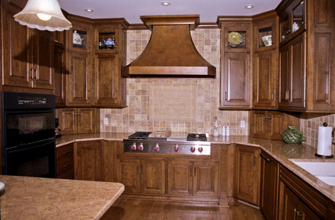 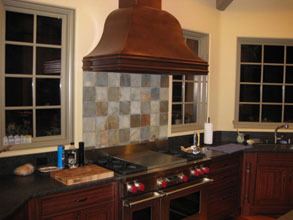 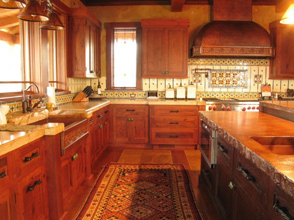 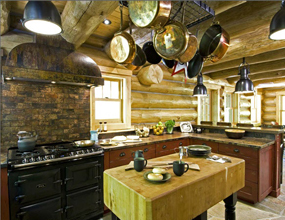 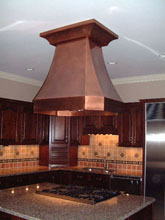 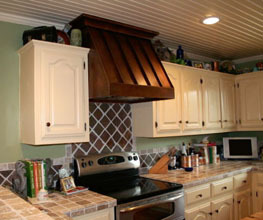 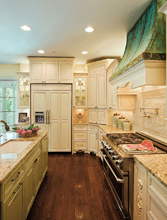 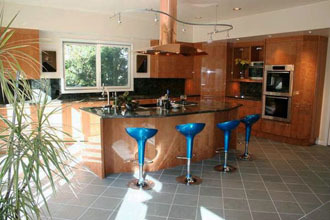 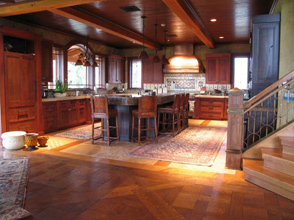 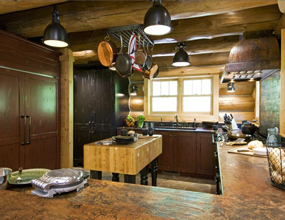 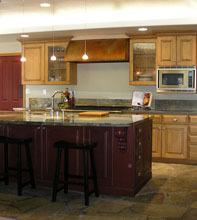 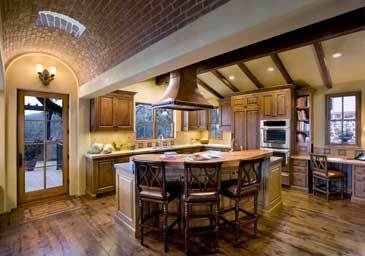 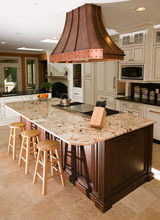 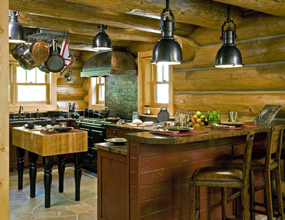 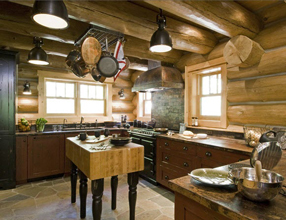 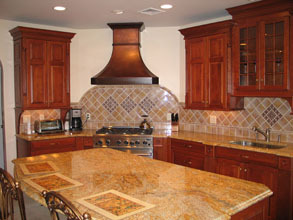 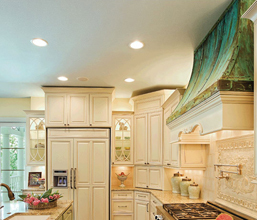 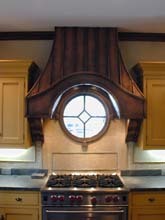 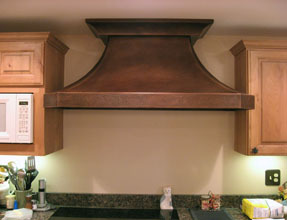 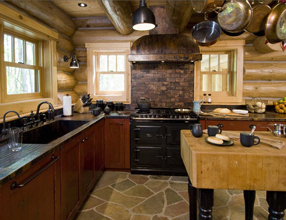 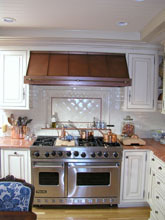 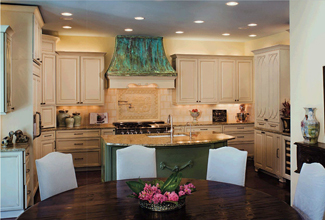 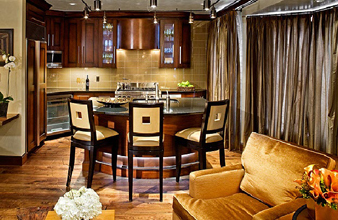 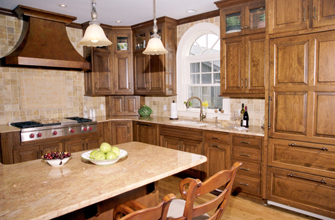 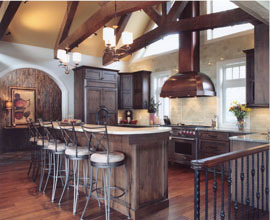 A set of stainless pot rails at the bottom band is a great way to tie a copper hood with stainless appliances. 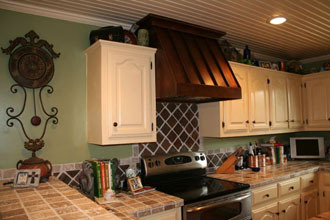 The S-hooks are removable and used to hang pots and pot holders. 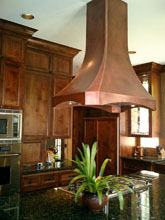 The copper is completely smooth and is finished with our Medium antique patina.